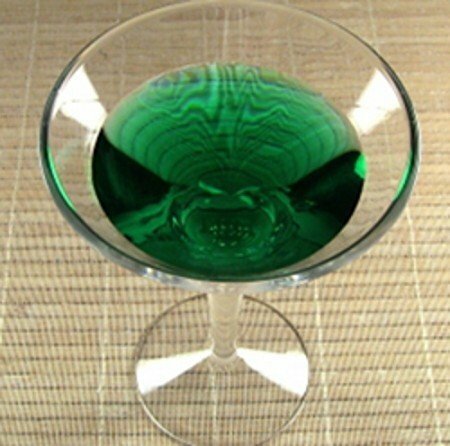 The Neon Iguana cocktail isn’t particularly reptilian, but it is very green. It’s a coconut, orange and lime concoction that features a lot of rum. Put this drink in the same class as the Zombie: a smooth tropical fruit adventure that sneaks up on you with the alcohol punch. This one has five ounces of hard liquor plus two more ounces of liqueur, so one drink equals about 3-4 of a standard drink. Fill a collins glass with ice. Pour in everything but the orange juice, and stir. Fill the rest of the way with orange juice and stir again.